Brett Johnson founded 505 Realtors as a property management company and real estate brokerage in 2000. It was joined by Carolyn Spence and Maggie Moore in 2001 and then by Daryl Loewen and Katharine Fly in 2002. In February 2003, Brett sold the company to Carolyn! 505 Realtors became 505 Realtors, Inc. when it incorporated in 2005. The offices were located at 521 N. Main St. in Clovis until fall 2007 when the offices began a move to 3008 N. Prince. Then in March of 2008, 505 Realtors, Inc. we joined Weichert Real Estate Affiliates, Inc. to become Weichert, Realtors® - The 505 Group. 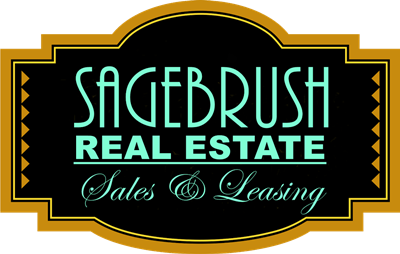 Then in March, 2018 we settled in as SAGEBRUSH REAL ESTATE! Carolyn Spence was a broker in Maryland and Virginia during the 1980′s. She came to Clovis in 1997 and re-entered real estate in 2000. Katharine is Carolyn’s daughter and is the co-qualifying broker. The company has a brokerage and property management division. Gross Commission Income for the firm averages over $700,000 per year, which puts us at the #3 spot in sales volume in Clovis! Our agents are high caliber professionals with diverse backgrounds. A few of our previous professions have included ranching, farming, writing, military, and sales. We engage in business in a manner that seeks the highest and best purposes in the interests of our customers and clients. Our relations with co-workers come from a loving and caring heart, and our thoughts for them are greater than a desire for worldly success. We allow a spirit of selflessness to direct our decisions and we extend our good intentions and purposes to business associates as well. The Company expects to expand and serve the community in areas of specialization that include ethnic community interests, the commercial real estate market, true investor markets, land development, and ranch and farm sales. As associates with expertise in these varied markets increases, the Company will open branch offices in Logan, Portales and also within Clovis for the Commercial Property Management and Sales. We expect to influence the community growth and development with a solid foundation using the latest technology for research and marketing residential properties.